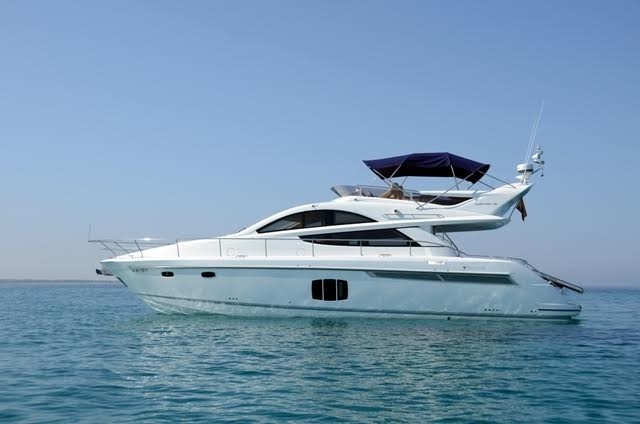 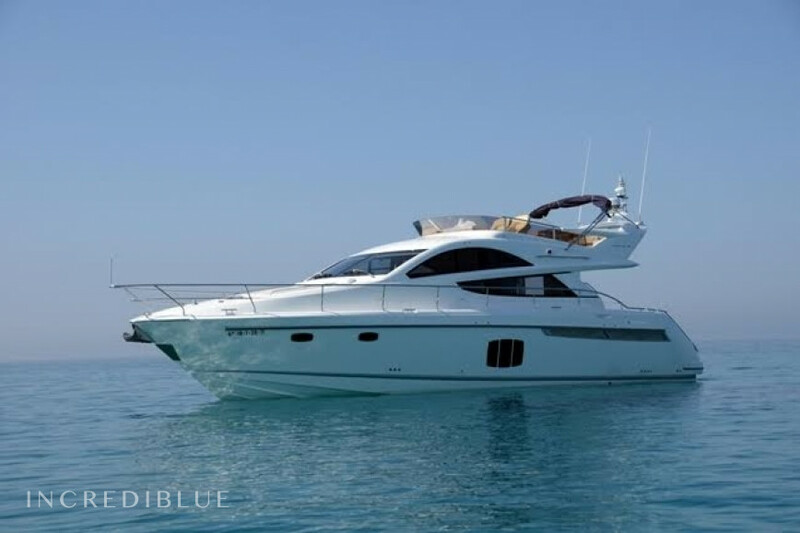 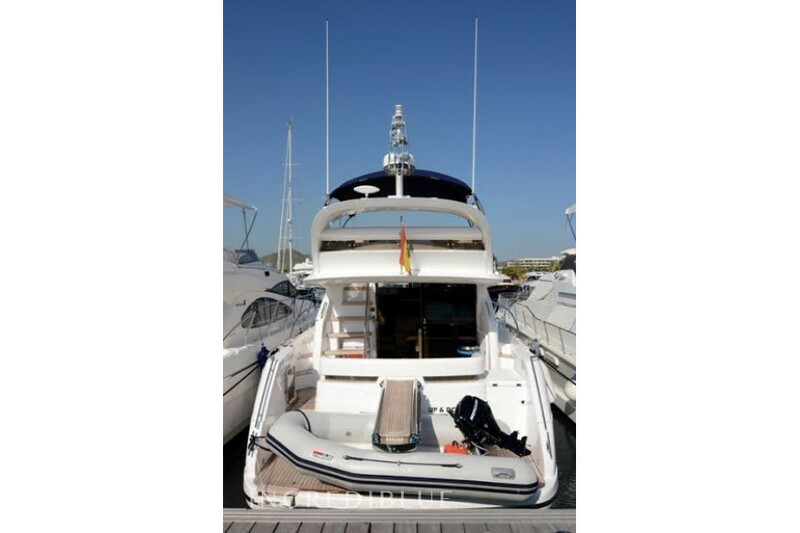 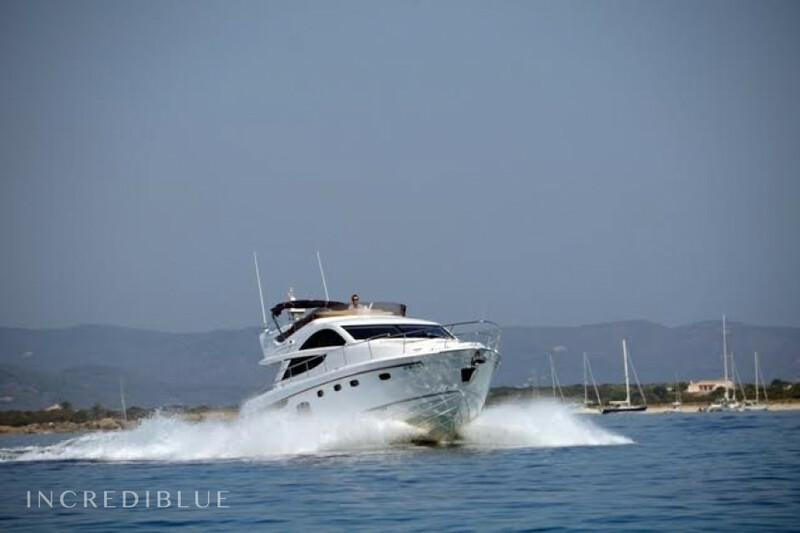 It is the latest in a long line of family yacht much admired by lovers of the sea. 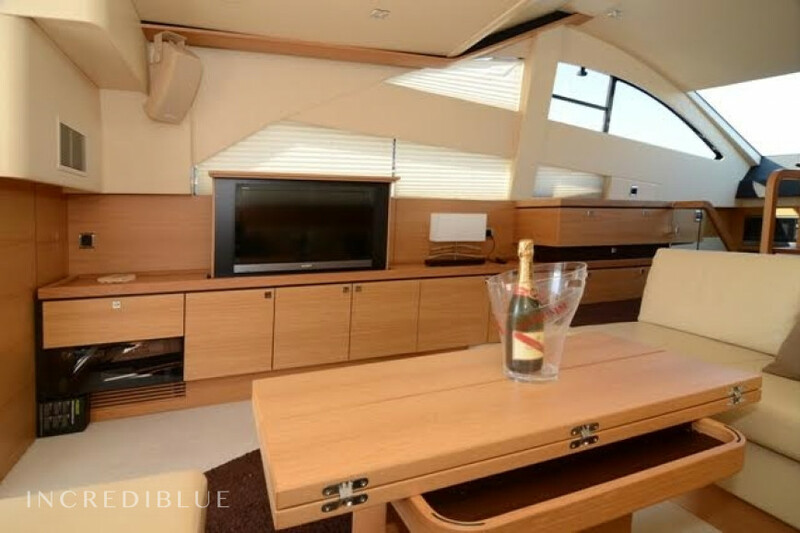 With contemporary, practical and great use of space design it is the ideal place to spend your holiday boat. 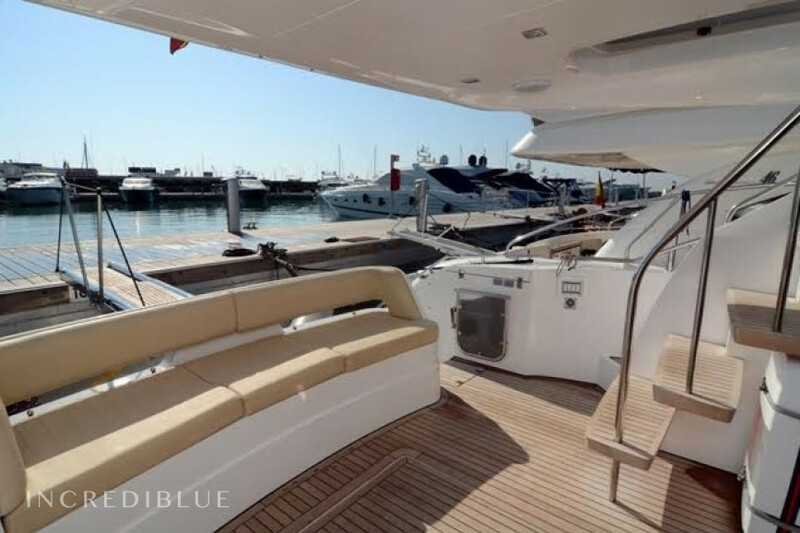 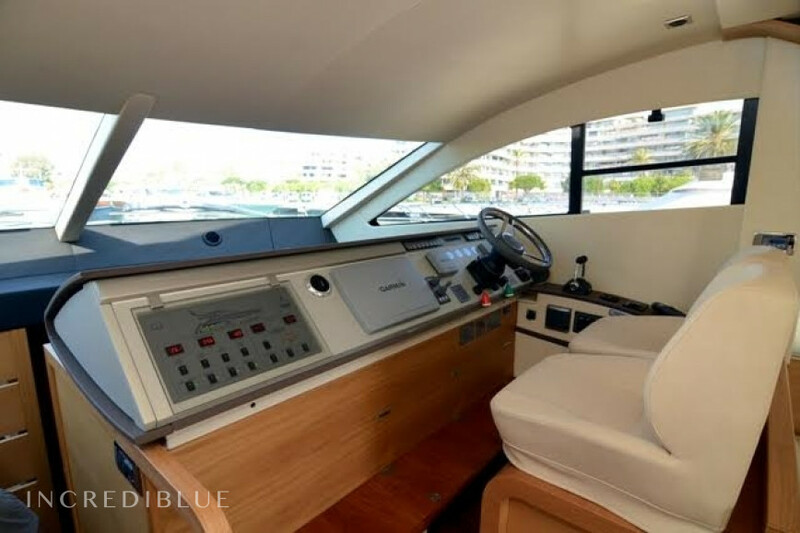 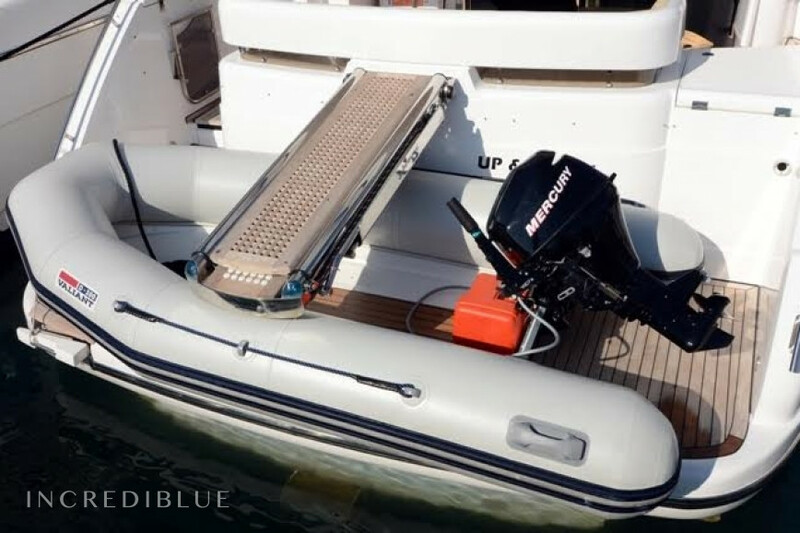 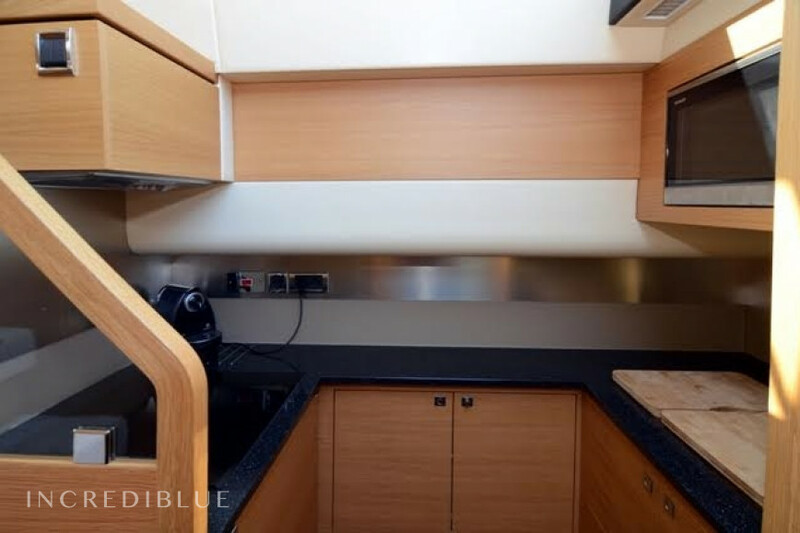 The flybridge is very spacious and has all the details of high-level boats. 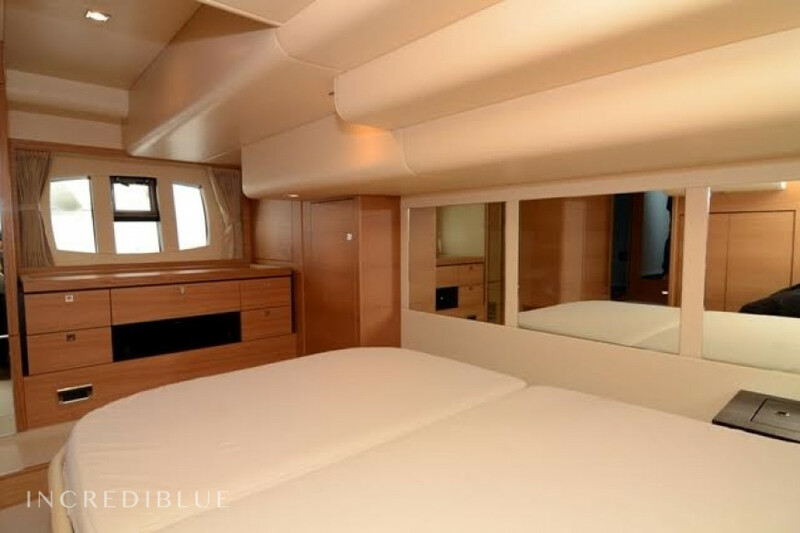 In the interior it has been used white oak to give brightness and elegance to the spaces. 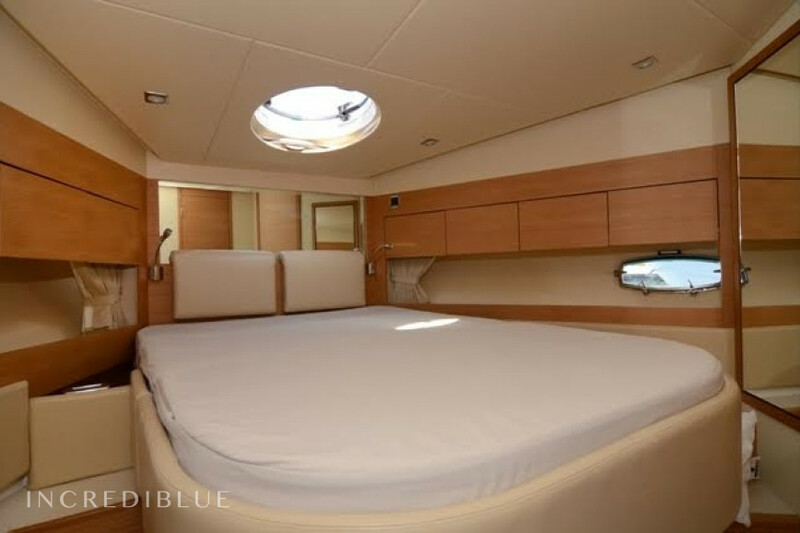 The owner's cabin occupies the entire sleeve and is composed of a double bed and a bathroom. 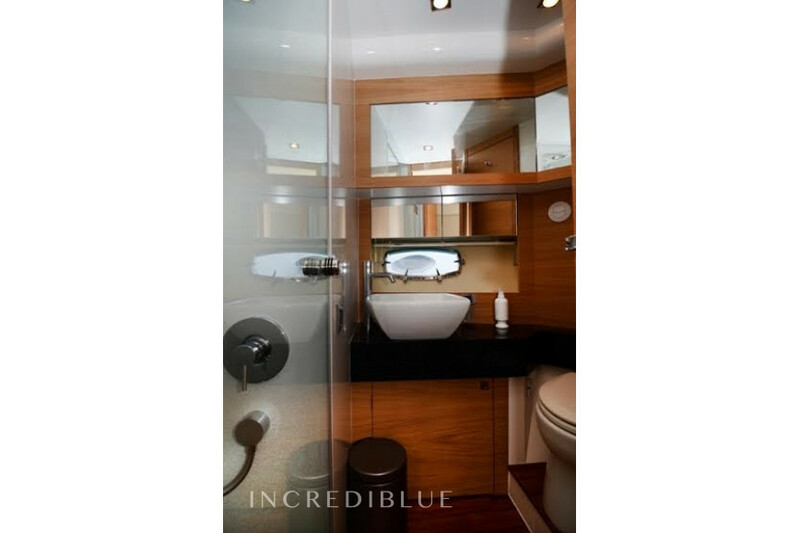 Panoramic windows allow light to flood the interior. 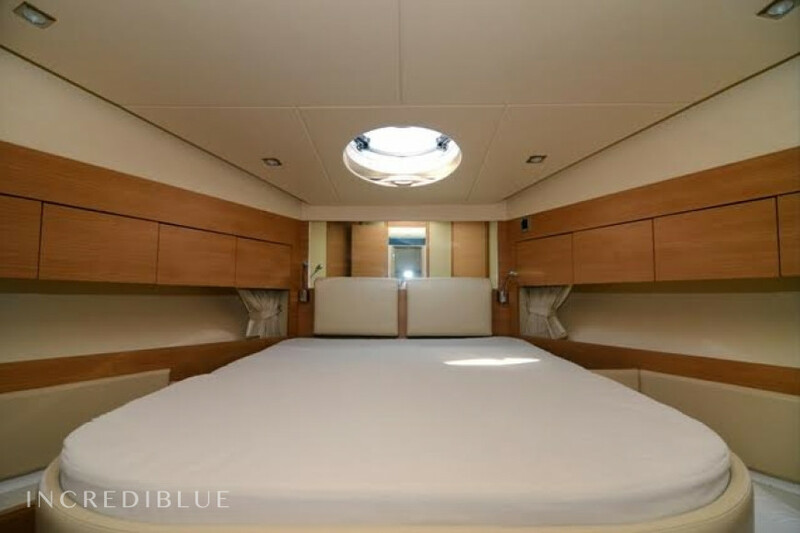 The VIP cabin is as luxurious and the starboard cabin has 2 berths. 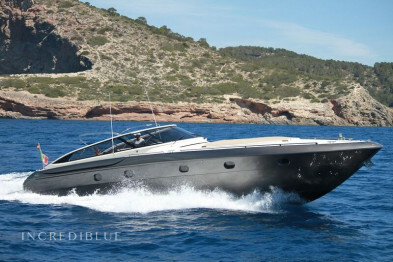 The Phantom 48 is the perfect place for those wishing to spend with family or friends of the coast of Ibiza boat.